Create your model of any size, shape, color or gender, then define your look with thousands of fashion-forward styles. Work your way to the runway, then the top of the fashion world, building an empire like modeling superstar Tyra Banks. Live the life of fashion, photoshoots, go-sees, casting calls, and more! Get discovered and hustle to become a top model! 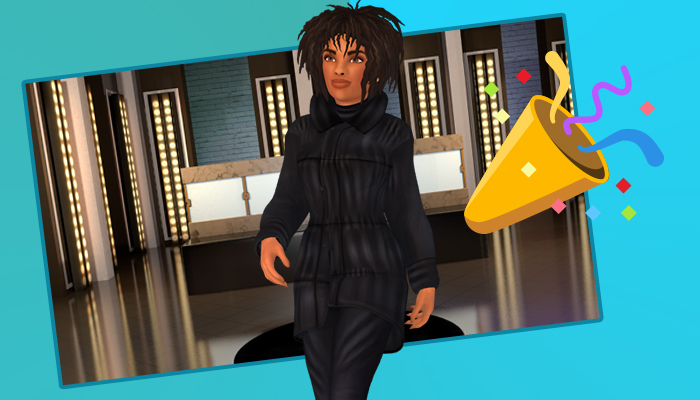 New Quests: Meet Kyla Coleman, the winner of America’s Next Top Model in a brand new Chapter! New Location: Make your international modeling debut in London, England! Bug Fixes: We continue to fix bugs and improve your overall game experience! Live the life of a model! Go on photoshoots, fashion shows, casting calls and more. Follow your fashion dreams and build your demand by gaining Followers. Unlock new accessories and outfits for your next shoot, show or event. Network with agents, clients, photographers, other models and more as you break onto the scene! Join Tyra Banks on a worldwide and FASHION adventure as you define your style, master the runway and ultimately become a TOP MODEL! It's time to storm the fashion world and show them what you got! Go on adventures in New York City, LA, Texas, and then get your international break as you meet fashion designers, photographers, celebrities, and friends. Can you make it to Paris Fashion Week and beyond? Are you next level fierce? Download America's Next Top Model Game today! Have questions, issues or feedback? Drop us a line with the contact form below. Copyright © 2017 America's Next Top Model Game - All Rights Reserved.